So Many Choices For Braces! We Can Help. 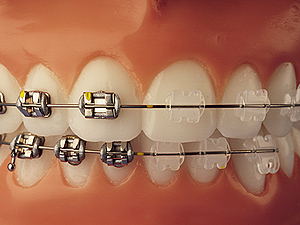 Dental braces, also known as ‘orthodontic braces’ are used to align and straighten teeth. We use them to adjust the spacing between teeth for more attractive smiles and proper functioning teeth. Take a look below at some of the braces we offer. Are any of them right for you? READ MORE...about the different kinds of braces, and why you might choose each one. If it seems a little overwhelming at first, don’t worry! We are here to help and make suggestions! Categories: Braces, ceramic braces, inovation, removable braces, traditional braces | Permalink.